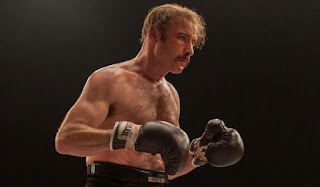 This quality-driven film follows the story of Chuck Wepner who was Muhammad Ali’s heavyweight contestant and the inspiration for the famous Rocky series. The film follows his footprints from being selected to fight Muhammad Ali to going down a considerably dark hole which involved heavy adultery and a cocaine addiction. We get to see Mr. Wepner’s behavior affect his wife, child, and brother in severely damaging ways. Yet, we also get to see some light and a phenomenal dedication in work ethic to his profession as a heavyweight boxer. This is the type of film that fully captivates one’s attention with not an inkling of release from the connection that it makes. It completely captures Chuck’s rise to stardom and his super-high that he received from such circumstances. We see a character through the thoughtful, careful, and meticulous writing of the screenplay get lost in the attention that suddenly took hold. Chuck starts caring more about being famous and the attention rather than his own loving family. This concept of losing sight of what is truly valuable after the glitz clears was extremely well-executed by the writers. Liev Schreiber brings an edgy, wild, and yet human approach to Chuck which basically renders a superior performance to reality. We see his love for his wife that is truly there be ignored and discarded by his wild impulsivity of seducing women. We see his care for his daughter be subsequently outpaced by the consequent repercussions of his behavior. What makes this film a well-rounded piece of cinema is that it gets into the unpleasant situations that Chuck experiences and then rises up with the character. Elisabeth Moss does exceptional work with the role of Phyllis who is Chuck’s wife. Her character just needs Chuck’s commitment to their family and she is at the end of the day a super-strong woman. She works for her daughter and tries to ensure her family’s happiness. One can definitely feel empathy for this woman as she tries to communicate to Chuck her emotional damage that he gives in to causing. In one scene, Chuck decides to walk on his own to their house after being out with his wife. The film then cuts to him in a diner with a woman who he briefly and indirectly met in their outing. In an almost unbelievable occurrence, Phyllis shows up at their table with a few words to say to the both of them. The character certainly has a maternal quality that permeates throughout the story. Although I was unsure at first about the likability of this film, I am now certain that it will please a vast number of audiences.